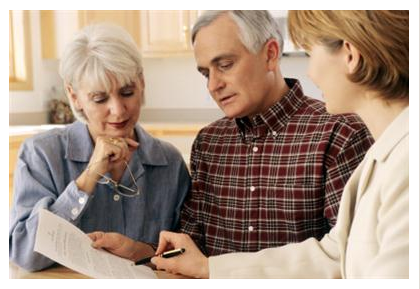 While many older family members may have had a will set out for years, many people are not sure on how to start preparing a living will—particularly because of the host of feelings it may bring up in family members. However, a living will (a form that sets out one’s wishes for medical care and provides instructions on types of care that should or should not be given) is fairly easy to set up and very important to have on hand, particularly for elderly family members or those who are living with Alzheimer’s or dementia. Always Best Care Senior Services in Palos Park, IL, is one of the many home health care providers that can assist seniors and their families in designing a living will that is customized to each individual’s specific needs. A living will is a form, and while it doesn’t require a lawyer, it will need to be signed, and witnessed or notarized (or both). The form for a living will can be found at hospitals, physicians offices, or assisted living and home care service centers. It is designed to dictate what kind of health care should be provided for someone if they are incapacitated and unable to speak on their own behalf—and that health care can range from blood transfusions, CPR, respirators, intravenous food and water, or pain management. Often this form will be paired with a power of attorney in which one names a person to make health care decisions on their behalf. Carefully consider each element of care, and be specific about what your desires are. For help explaining wishes to family members or understanding elements of a living will, reach out to support groups, physicians or dedicated, reputable caregivers like the staff at Always Best Care Senior Services online or at (708) 320-8222.